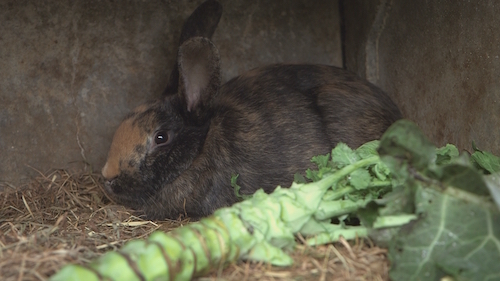 Over the last six months some hundred farm-bred rabbits have been killed in the Côtes d’Armor in Brittany. No traces of blood, no bite marks, so the killer is likely to be a man. He enters private properties both day and night to carry out his criminal deeds. To date, 19 farmers have had their rabbits killed. They are all within an area of a few square kilometres covering three villages. How does this mystery killer operate and how is he able to melt into the village landscape ? Who is he? Is the killer one of the residents? What is the psychological profile of a killer of domestic animals? An enquiry among the breeders and the mayor-investigator of Menihy-Tréguier.